Carol Hanlon, CEO of Belmont Business Enterprise Centre Inc. (BEC Global), TCF WA Inc. ( TCF Australia | TCF Global), BPW Business Incubator Training & Mentoring Projects has been invited to attend and present at the Women Economic Forum in The Hague, Netherlands on the 8th and 9th of March 2018. 12th designedge Innovation Festival Launches April 20th in Belmont The 2016 designedge Innovation Festival will launch on Wednesday 20th April, 6pm-8pm at the City of Belmont Civic Centre. Design Edge Innovation Festival June 1 2015designedge Innovation FESTIVAL 2015 is underway with a further 45 workshops, forums and online webinars being held with a fantastic range of speakers from across the globe…. BSBA Awards Launch 2015 April 9 2015The 22nd annual Belmont Small Business Awards will launch on Wednesday 22nd April, 6pm-8pm at the City of Belmont Civic Centre. TCF Australia supports �JACK LEE Australia� at �FASHION EXPOSED REVIVED� in Sydney from the 20th to the 24th of February 2015 February 10 2015�JACK LEE Australia� caters for the professional stylish male. Jacki-Lee Munckton started the menswear label in 2011 after noticing the change from men wearing the suit and tie to work to business casual…. TCF Australia supports �Malambo� at �FASHION EXPOSED REVIVED� in Sydney from the 20th to the 24th of February 2015 January 26 2015�Malambo� offer handcrafted handbags and accessories spiced with South American flavour. Founder Celestina Lacombe started the innovative, socially responsible business in 2012. TCF Australia supports �Convict Bags & Accessories� at �FASHION EXPOSED REVIVED� in Sydney from the 20th to the 24th of February 2015 January 5 2015When �Convict Bags� founders Georgina Lewis and Karen Adie started their range of Australian made handbags and accessories in 2013 they were inspired by their mutual love of the raw beauty of Australia and it�s barefoot lifestyle…. TCF Australia World Boutique Hong Kong Fashion Week January 2014 January 13 2014Hong Kong Fashion Week for Fall/Winter and World Boutique, Hong Kong join hands and gather international designers and global suppliers at Asia’s top fashion fairs in January 2014…. 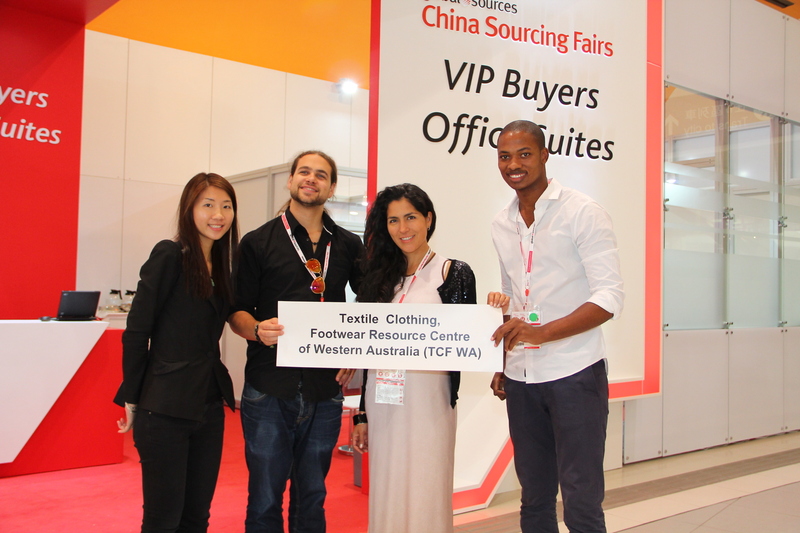 Delegation Visits to China Sourcing Fair Hong Kong October 2013 November 25 2013Asia World Expo 27-30 October 2013 Providing an effective way to source quality products direct from China suppliers at good-valued prices! TCF Australia launches Green Fashion ‘Ask An Expert Forums August 6 2012As part of the TCF Australia ‘ONLINE’ Energy Efficiency Training & Mentoring Project, TCF Green Fashion ‘Ask An Expert’ forums launching in Melbourne – Aug 26 & 27, Brisbane – Aug 30, Bribie Island – Sep 3 & Sunshine Coast – Sep 4…. International Women’s Day Belmont 2012 January 24 2012The Belmont Business Enterprise Centre, Belmont Business & Professional Women, Textile, Clothing Footwear Resource Centre of WA and the City of Belmont, invite all to attend International Women’s Day celebrations in Belmont in March 2012…. Local Champion Awarded May 3 2009Carol Hanlon, Manager Textile Clothing Footwear Resource Centre (TCFWA) Belmont Business Enterprise Centre and Belmont Small Business Centre (Belmont BEC/SBC) has won the coveted City of Perth Convention Scholarship for 2008/2009 which is worth $10,000….